Eiffel tower Ticket for 2nd or 3 rd Floor by appointment . A tour leader will welcome you at the meeting point near the eiffel tower before you enter the tour . 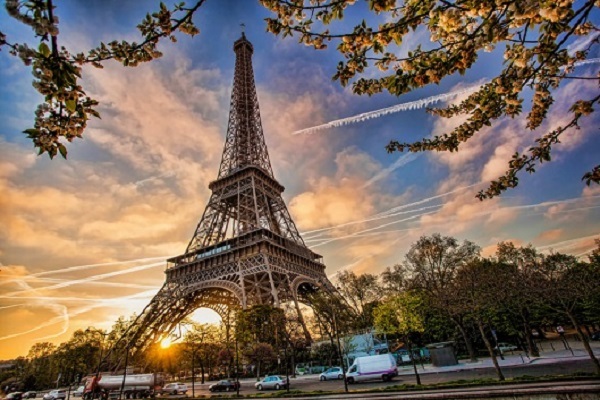 You will spend unlimited time in the eiffel tower . At the 1rst and 2nd floor you will find a buffet restaurant with self serve fresh food , croissant, salads, sandwichs . For lunch , the 58 propose you a basket style picnic chic served at your table . Ideal for a quick lunch and avoid the queue . Once your table reserved , you have to goat the kiosk reserved for the eiffel tower restaurant to get your skip the line ticket to get up the 2st floor . For the summit , you will have to get an additionnal ticket at the cash machin. For dinner , A chic classical menu will be served at table. You have the possibility to choose for a windows seats or a normal seats . 2 services are available , one at 6:30pm and one at 9:30pm. Boat cruise tour at the footsteps of the Eiffel Tower . 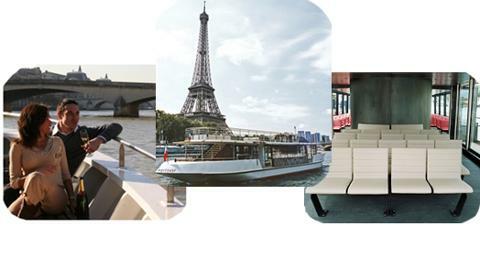 You will enjoy a 1hours cruise with a glass of champagne or a crepe or a Kir .